Unfortunately, the real magic happens when you start peeling back the layers of your data to find out what’s really going on. If you look carefully at so-called single score metrics like the Net Promoter System, you’ll realize the score is just a starting point for evaluation. It’s the underlying analysis and continuous drive to improve that’s really important. For example, a few months ago I blogged about my experience with Verizon’s Global Traveler Program. I’d rate my likelihood to recommend their service as a 7 on a scale of 1 to 10, but this rating doesn’t reveal that my score is really a sum of good, great, and poor experiences. A closer look at experiences like mine is needed for Verizon to clearly understand how to make their service truly exceptional while cutting down on costly calls to technical support. I really enjoy reading the Wall Street Journal. Their informative articles help me stay on top of the news I care about while their style really captures my attention. I follow them on Twitter to get the latest updates on their news coverage and I consider it a plus when I stay at a hotel that provides free copies to their guests. So why did I recently cancel my subscription? Simply put, subscribing to the Wall Street Journal had become a hassle. You could classify me as a “Promoter” if you used a Net Promoter System because I would certainly recommend that you read their news coverage. However, I’d give the Wall Street Journal low marks on the amount of effort required to subscribe to them via my iPad. One of the latest magic metrics to gain popularity is called the Customer Effort Score. It essentially gauges how easy or difficult it is to do business with a company. According to research published by the Corporate Executive Board, Customer Effort is a better predictor of loyalty than a Net Promoter Score. Reducing effort is where the Wall Street Journal could have saved my business. I subscribed via my iPad because I liked the promise of reading the paper wherever I went and getting updated content throughout the day. However, they frequently released updates to their iPad app, which meant that I couldn’t read the paper until I performed the update. This got more and more annoying until I finally decided the price of the subscription wasn’t worth the extra effort. Ironically, cancelling my subscription also required more effort than necessary since the only way to cancel a subscription is to call. Their website states this is for security reasons, but the truth is they want to take one more shot at keeping your business by making you speak to a retention specialist. So, just make things easy, right?! Not so fast. Let’s compare one of my favorite examples, McDonalds vs. In-N-Out Burger. Getting a burger at McDonalds is relatively easy. The drive-through line moves pretty quickly and most orders placed at the counter are delivered almost instantly. On the other hand, there’s always a wait to get your food at In-N-Out. If we judged the two by Customer Effort alone, McDonalds would win hands down. The problem with that assumption is that you’d then be stuck with a McDonalds hamburger which consistently scores poorly in consumer taste tests. As legions of devoted In-N-Out fans will tell you, getting a tasty In-N-Out burger served by a cheerful employee in a clean store is absolutely worth the extra effort. My take-away is data can be very useful, but it can also obscure the truth. Customer service metrics like Net Promoter Score or Customer Effort Score are fantastically useful tools, but achieving a certain score should never be the ultimate goal. If all you want to do is achieve a certain Net Promoter Score, I can show you a dozen tricks to make that happen. For instance, one enterprising store manager at the Gap offered a 20% discount in exchange for a 10 on their Net Promoter survey. That will certainly improve the score but not necessarily the service. The most successful companies first ask, “How can we do better” and then find the right data to help them continuously improve. On the Friday before Christmas my wife, Sally, headed to Newark Liberty airport for what she thought would be an uneventful flight home to San Diego. What followed instead was a string of bizarre delays lasting nearly nine hours that could only be caused by a company as inept as United Airlines. Throughout the day, Sally texted me frequent updates on her flight status. I captured her messages in a blog post that turned out to be my most read post of the year. Sally finally made it home safely. As she recounted her ordeal over a late dinner that night I realized that her experience reflected a few surprising customer service trends. Perhaps most surprising of all is that Sally intends to remain a loyal United Airlines customer (more on that later). Research posted by Rob Markey on the Net Promoter System blog just one day prior to Sally’s trip suggested that the way airlines handled a flight delay had a larger impact on customer perception than the delay itself. More specifically, passengers were much more understanding when the pilot provided frequent, clear, and empathetic updates. This is exactly what happened on Sally’s flight. The pilot and the rest of the flight crew were absolutely terrific and the passengers generally remained calm as a result. In his book, High Tech, High-Touch Customer Service, Micah Solomon describes the concept of anticipatory customer service where companies predict customer needs and proactively address them. Anticipating a customer’s needs gives companies an opportunity to provide unexpectedly good service or fix a problem before it gets even worse. By the time Sally’s flight landed, the passengers on her plane had received an email from United Airlines apologizing for the delay and offering their choice of travel credit or frequent flyer miles as compensation. Sally has experienced her share of challenges in the past trying to get a response from the United Airlines customer service department, so it was a pleasant surprise to receive a proactive resolution. 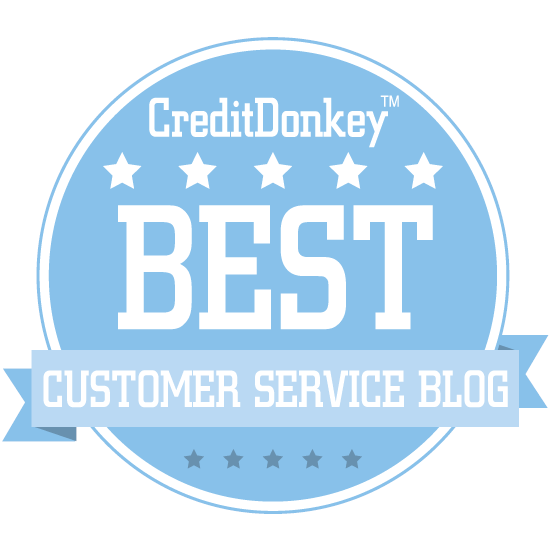 A day prior to Sally’s trip, Adam Toporek wrote a post on his CustomersThatStick blog explaining how all customers should expect excellent treatment, but they can’t all be VIPs. In the real world, Toporek explains, some customers will receive better treatment and service than others and deservedly so. Sally certainly had some advantages over other passengers on her flight from Newark. She was relatively comfortable in her first class seat with plenty of legroom, a power outlet to keep her computer and phone charged, and attentive service from the flight attendants. Sally also knew from comparing notes with other passengers that she received a higher compensation offer in her email from United than the people sitting next to her. Sally received better treatment than her fellow passengers because she is Premier 1k frequent flyer member. To earn this status, she had to fly more than 100,000 miles on United Airlines in 2012. This frequent flyer level comes with perks like complimentary first class upgrades, but Sally had to spend many hours and many flights sitting in coach to get there. Last November, Bruce Temkin shared new research that reveals some companies’ customers are more loyal than their customer experience ratings suggest they deserve. United Airlines was 19th on Temkin’s top 20 list. One of the explanations offered by Temkin was that people may be more loyal to a company than reasonable when there aren’t a lot of acceptable alternatives. This is exactly why Sally will continue flying United almost exclusively. United Airlines offers a flight schedule that best meets her overall business travel needs in terms of cost and convenience. Her frequent flyer status also ensures she spends less time waiting in airport check-in and security lines and receives frequent seat upgrades. Looking at the big picture, Sally would have to spend more money and travel with less convenience to avoid flying United Airlines. United Airlines might pat themselves on the back for earning Sally’s continued loyalty. What they may not realize is they still lost a customer that day – me. I flew enough miles on United Airlines last year to earn their Premier Silver status. I plan on traveling a lot more this year and that status would have come in handy. However, unlike Sally, I have several good alternatives that make it easy to say I won’t be buying a ticket on United Airlines anytime soon. 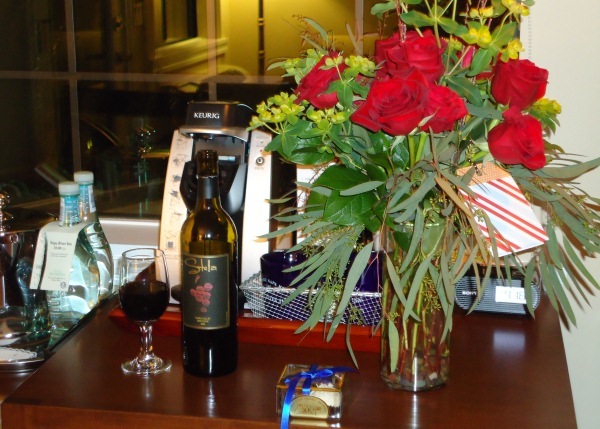 I recently had my tenth stay at two of my favorite hotels, the Napa River Inn and the Westin Portland. Both hotels recognized this milestone with a very nice welcome amenity in addition to the wonderful, personalized service they always provide. This special treatment made me look forward to my next ten visits, but it also got me thinking about how many other hotels I've stayed at where I don't care whether or not I return. What can hotels do turn first-time visitors into loyal guests? I spoke with a few hospitality professionals to get their ideas and reflected on my own experience to come up with three simple suggestions. I'm sure there are more ideas -- so please add your own as a comment to this post. Many hotels have loyalty programs, especially the larger chains. Why not encourage first-time guests to join? This should be standard procedure at check-in, but in practice it doesn't consistently happen. A few years ago, I checked in to the Hilton Garden Inn in Henderson, Nevada. The friendly front desk associate invited me to join the Hilton Honors loyalty program and even offered to use the information they had on file to complete the application for me. It cost me nothing in terms of time and effort, but over the next year I found myself staying in several hotels within the Hilton family and soon reached their first level of status. All else being equal, points and status will influence guests' decisions, and I recently booked a stay at a Hilton over another brand I wasn't loyal to. Smaller hotels without a loyalty program can simply collect email addresses and send out periodic newsletters. For example, the Napa River Inn sends out a special discount code just for returning guests. I stay in a lot of hotels, but I don't bother to join their loyalty program if I don't think I'll be coming back. It often takes a simply nudge from a helpful associate to get guests like me to join, but when they do, they might start feeling a little more at home. Quick question - which associates have the most guest contact? In a smaller hotel, it's likely someone at the front desk, but in a larger hotel it might be the valet staff, housekeepers, or even the engineers. All associates, regardless of their position, should be trained to engage guests at every opportunity. They can start with a simple question, "How is your stay?" In my experience, most of the hotel associates I encounter in the hallway or elevator rarely go beyond saying "Hello." An associate once asked me how my stay was going, but when I said, "Eh," she wasn't sure where to go from there and missed an opportunity to turn a mediocre experience into an outstanding one. I've recently had a four night stay at three different hotels. One was the Napa River Inn and the other two were clearly not. At the Napa River Inn, I frequently encountered associates who were friendly, helpful, and outgoing. At the other two hotels I hardly had any contact with associates after checking in. I found myself feeling very disconnected from these properties, despite the long stay. Why take chances? Someone from one of the "other" hotels could have called my room halfway through my stay to make sure everything was going well. They could have sent up a free bottle of water. Perhaps one of the hotels could simply have responded to my repeated maintenance requests instead of ignoring them. Anything to check in and say, "Hey -- we know you're still here." Instead, nothing. No contact, which means no connection. I've already forgotten about them. Like many of you, I've been through my fair share of cell phone carriers. T-Mobile has managed to keep my business for the past several years due in large part to their outstanding customer service. They don't have the latest technology, coolest phones, or even the fastest network, but everything they do seems geared towards making it easy for me to be a customer. Their latest television commercial is a gutsy move that prompts viewers to go to an independent website which recommends the least expensive cell phone plan that fits your needs. I checked it out and immediately found a way to save $10 by switching to another T-Mobile plan. Yes, other carriers were represented, but the first three recommendations were T-Mobile plans. Nice! 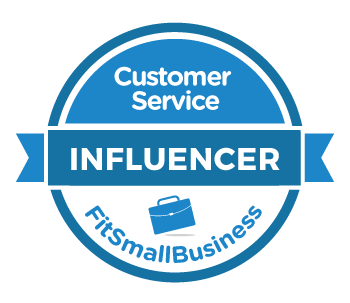 Helping the customer succeed sells. And, a customer who succeeds because of your company is much more likely to remain loyal. Some math geniuses might point out that T-Mobile just lost $120 in revenue per year by prompting me to reconsider my cell phone plan. Ah, but this is where a finance-only approach can be short-sighted. Just last week, I was on the Verizon website scouting out the latest BlackBerrys and imagining how much more productive I could be on a faster network. T-Mobile's ad didn't lose them $120 per year. It saved them nearly $1,200 per year by ensuring I stayed on-board as a customer.